Ever since a teaser premiered last year for Super 8, audiences wondered exactly what they were looking at. Then a trailer came out earlier this year that teased us even more. Super 8 - directed by JJ Abrams and produced by Steven Spielberg - makes us feel like kids learning to love movies all over again. 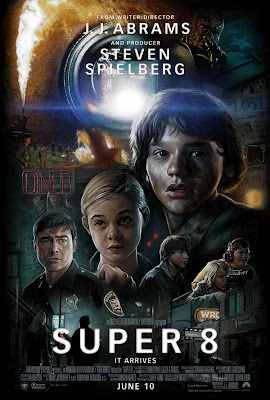 At its simplest, Super 8 is about a kid named Joe (played by Joel Courtney) who recently lost his mother in an accident. He and his father 'Jackson' (Kyle Chandler of NBC's Friday Night Lights) are dealing with not having her around. With school out for summer, Jackson wants Joe to go to a summer camp, but Joe wants to help his friend finish a zombie movie. It's the filming of this movie that puts them in the middle of something bigger than they could possible dream. One night while shooting a scene for this movie they witness, and accidentally film, an amazing train collision. After the accident the kids learn that it may not have been an accident. Believing that they and their families could be in danger for witnessing the accident, the kids swear each other to secrecy. What they don't know is that the train wreck has unleashed some thing in to this small Ohio town. While filming their movie, the kids discover that they may know more about what's happening in the town than others do. As they keep pushing deeper in to this mystery, the strain of the relationship between Joe and his dad grows larger. One of the things that is upsetting his dad is that the person Joe is spending a lot of time with now is young Alice, played incredibly well by Elle Fanning. There is a specific reason Jackson does not want his son to spend time with her that we'll avoid here. The conflict between Joe and Jackson ends up giving us some incredible scenes between the two of them. It's those moments that keep this movie from becoming a simple sci-fi/scary story. While there are already comparisons to Spielberg's E.T., I disagree. Other than kids, an alien and a single parent family - the comparisons end there. I'm doing my best to keep this as spoiler free as possible, but I'm sure that many of you are wondering about the alien. All I'll say is that I was little disappointed. It wasn't so much the look that disappointed me, but the character itself. Since the movie is being compared to E.T., I'll use that as an example. We knew E.T. was stranded, wanted to go home and loved the kids. With the alien in Super 8, I'm still not sure who/what it was all about. This leads to an uneven ending to the movie. With that being said, there is a lot more to Super 8 than an alien creating all sorts of craziness. At it's core, the movie is about growing up physically and emotionally. By setting the story in 1979, the kids in the movie are not as jaded by life. This is a time when their love of movies comes from watching them and reading Starlog Magazine. It's a time that many of us miss and will instantly be transported to. But it's not above younger fans to connect with. All of the kids are easily identifiable, and that yearning of discovery - and even first love - is something everyone can understand. The young cast of Super 8 does a great job at carrying this movie. From zombie director Charles (Riley Griffiths) to the pyro-crazy Cary (played by scene stealing Ryan Lee); everyone does a fantastic job at making you believe their friendship. 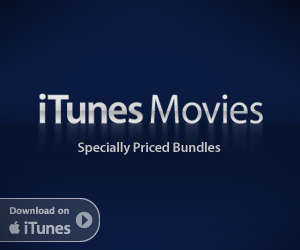 They also give you a reason to sit through the credits. There is no question that JJ Abrams was influenced heavily by the movies he grew up with, and it's very evident in Super 8. That in no way makes the movie a carbon copy of anything. Super 8 takes us back to time when we would go back to the movies over and over to see something as many times as possible. It shows other filmmakers that a good movie experience is not just built on having a huge set piece every nine pages. Movies are at their best when they not only take you to that world, but make you wonder what you would do if you were there. Super 8 not only does that, but makes us want to experience that feeling again and again.